Home / Google SEO / NEW! Website Report for Your Website. Free. SEO Report. A comprehensive SEO Analysis of your website. FREE. SEO Company, SEOGoogleGuru.com just announced an innovative SEO tool that is generating a lot of buzz. A detailed SEO report designed for website owners seeking a thorough website SEO analysis to uncover problems that might be prohibiting them from obtaining top search engine rankings. By adding a free SEO report to our mix of SEO tools, we allow website owners the chance get a in depth insight to why or why not they are ranking and make concrete suggestion for ways to improve. SEO is a process that includes over 200 different factors. If you do not optimize your website for most of these, you are missing an enormous opportunity to rank well in the search engines. SEO is the most important strategy to internet marketing. Why is this important? Google received 2,780,997,436 visitors in January 2010 according to Compete.com. People use the search engines to find information including services and products. No matter what your website niche is, you can bet people search for it. A page one ranking on Google for your targeted keywords can have a massive impact on your revenues. 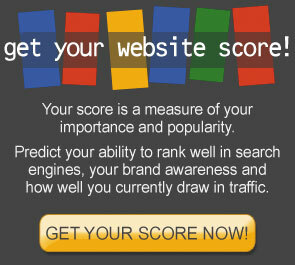 Site Score: overview of what your site scores without optimization. SEO Overview: overview of SEO information for your homepage, which includes keywords and recommendations for key attributes of your page. Technology Overview: technology overview information for your website, which includes what technologies you are using and if we have recommendations for other technologies you could be using. Another affordable SEO solution offered by SEOGoogleGuru.com is SEO training for website owners to learn and implement SEO best practices into their website.